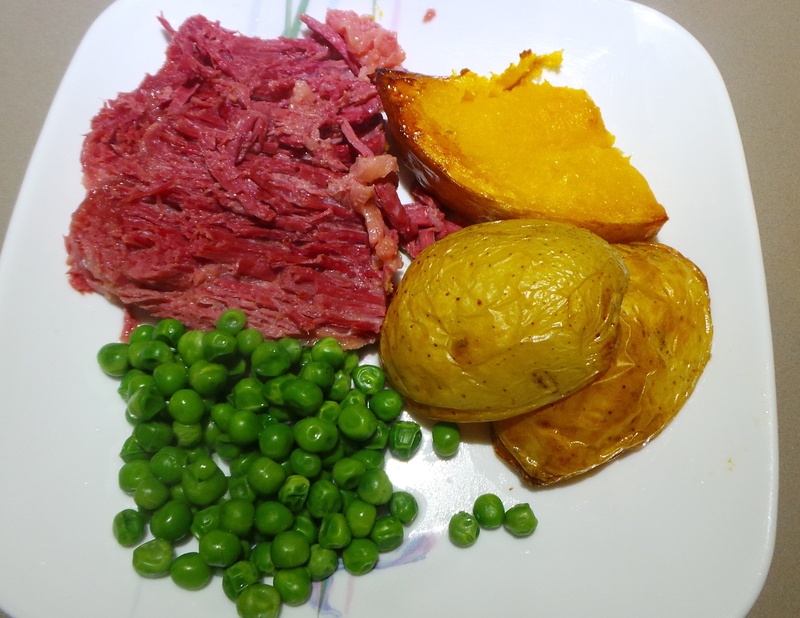 Today the Corned Beef was actually cooked. I switched it on when I woke up and left it on low all day long. Then I put a loaf of bread on to bake while the kettle for my morning tea was coming to the boil, so that’s sorted. 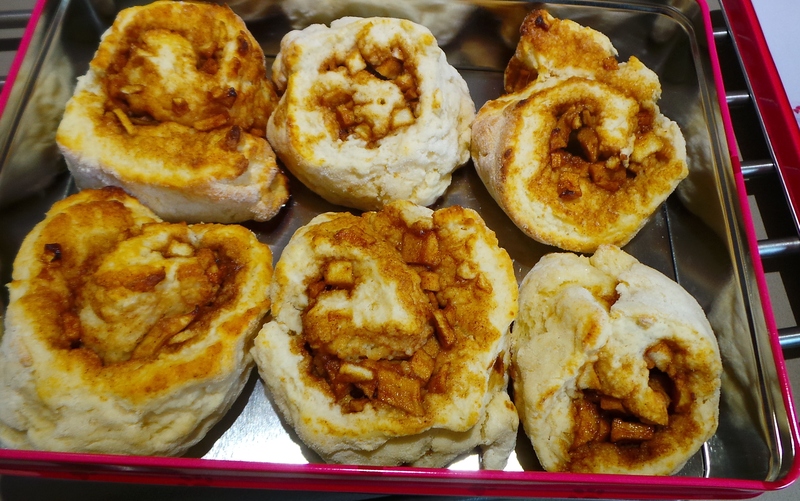 After breakfast, I made some apple cinnamon scrolls for The Boy to take on a visit to a sick friend. His reaction to them was so good (“Damn, Girl!”), I’m thinking I’d better get the recipe up here soon. I’ve also recently been given some kefir grains and a kombucha SCOBY, so I’ve spent some time getting those going … fingers-crossed. As a result, milk has been added to the shopping list. I’m quite excited about these little experiments! They’re something I’ve always wanted to play with, despite not knowing very much about them. Anyway, the corned beef turned out beautifully – if a little over-tender due to its 24 hour long spiced bath! I served it with some very simply baked potato and pumpkin and some frozen peas. Instead of a sauce, I just spooned some of the beef’s cooking liquid over it. The remaining 3/4 of the beef is now sealed up in the refrigerator for use in other meals later in the week.